Illinois Valley Mississippian Origins Project | Dana N. Bardolph Ph.D.
Is ‘Sherds’ the correct spelling here? I am currently co-directing the Illinois Valley Mississippian Origins Project with Dr. Gregory Wilson (UCSB), which explores population movements, mound ceremonialism, and variation in plant foodways in response to Mississippianization at the Fandel site, an early Mississippian mound center in west-central Illinois. 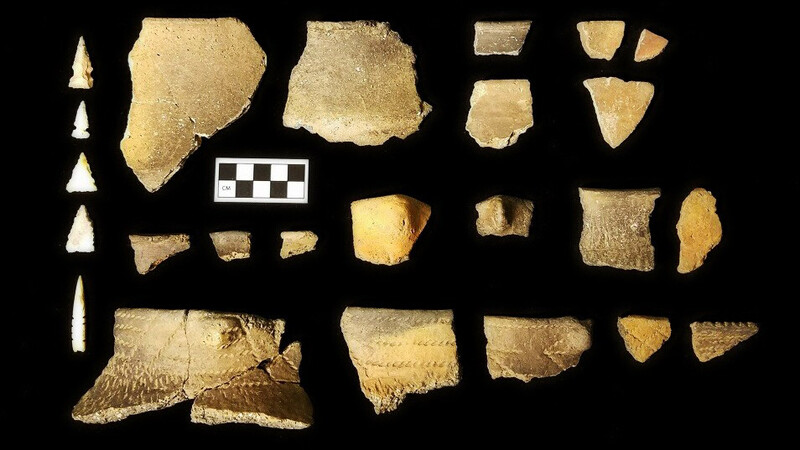 An 11th century outpost located near Upper Lake Peoria in the Central Illinois River Valley (CIRV), Fandel represents an important site of Cahokia contact with the potential to reframe understandings of Mississippian beginnings in the region. Data from Fandel, along with other new datasets from Cahokia’s hinterlands, has generated a large-scale comparative paleoethnobotanical analysis that examines regional variation in changes in plant foodways in response to Mississippianization in the greater Southeast and Midwest.